An event horizon is the point of no return. For astronomers, this occurs when the gravitational pull of a black hole becomes too great to escape. Whitewater rafters might recognize the event horizon as the top of a rapid where the current takes hold and doesn’t let go. 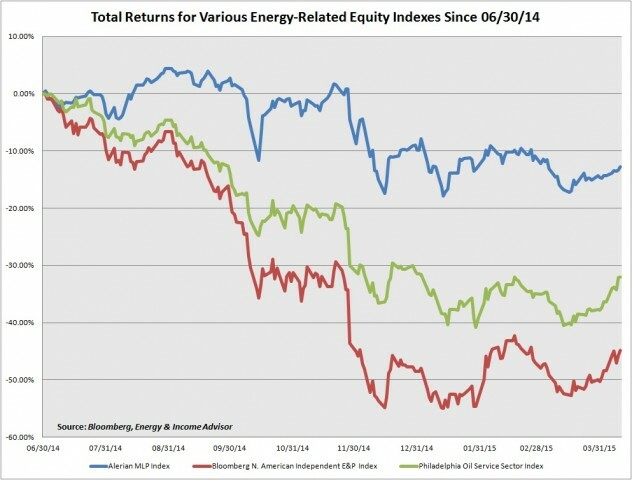 Energy investors face an event horizon: What will happen to their portfolios when an industry grown fat on $100 oil adjusts to a prolonged period of weaker prices and intensifying competition between producing regions? Although midstream MLPs have fared better than cyclical groups within the energy sector, questions remain about longer-term growth prospects and how the industry evolves in an environment where crude oil fetches lower prices. These challenges make this year’s edition of the National Association of Publicly Traded Partnerships’ (NAPTP) annual investor conference the most important one in the event’s history. Elliott Gue and I have attended this event for many years and have made many of our best picks based on our conversations with management teams. We’ve also seen the number of presenters, analysts and investors at the NAPTP’s annual conference skyrocket over the past three years. When oil and gas prices collapsed in late 2008 and early 2009, MLPs were niche investments whose high yields and tax advantages appealed primarily to individuals. However, this security class entered the mainstream in subsequent years, fueled by the huge growth opportunities ushered in by the shale oil and gas revolution. Surging interest in MLPs led to a bumper crop of initial public offerings, expanding the universe of publicly traded partnerships to more than 120 names and broadening the range of businesses they operate. Meanwhile, the number of funds offering significant exposure to this security class has swelled to more than 80 offerings. Institutional ownership of MLPs has also grown significantly. For example, institutions own about half of Enterprise Products Partners LP’s (NYSE: EPD) outstanding units and 70 percent of Magellan Midstream Partners LP’s (NYSE: MMP) float. An influx of capital seeking yield compression (price appreciation that outstrips distribution growth) instead of yield has increased volatility in the MLP patch and raised the bar of expectations for these names, leaving them vulnerable to further downside if they stumble. The severe downdraft in the prices of crude oil, natural gas and natural gas liquids (NGL) has increased the risk embedded in the MLP space. Linn Energy LLC (NSDQ: LINE) and other producers have absorbed the hardest hits, and there could be more downside to come for these names when their lenders revisit their borrowing bases in spring. Expect more distribution cuts among upstream publicly traded partnerships as management teams look to shore up balance sheets and align distributions with cash flow. Another leg down for energy prices—a distinct possibility with oil inventories at current levels—would be disastrous for these names. First-quarter results will provide more insight into upstream operators’ production plans. However, with only a few exceptions, most publicly traded oil and gas producers with exposure to the US onshore market plan to grow or maintain their output this year. Companies have sought to offset lower price realizations on oil and gas by slashing operating costs and capital expenditures and focusing developmental drilling on their core areas. Producers have also issued equity, divested noncore assets and cut their dividends to free up cash flow. Every collapse in commodity prices sows the seeds of its reversal, as marginal producers feel the squeeze. Although the US rig count has dropped by more than 50 percent over the past six months, inventories continue to build. Meanwhile, the growing number of wells that producers have drilled but not completed represents shadow capacity that can be brought onstream rapidly if oil prices rally. In the best-case scenario, oil prices avoid another down leg. But investors should expect crude prices to remain lower for longer, dramatically shifting the opportunity set and growth trajectory throughout the energy sector. The NAPTP’s upcoming investor conference gives us an unparalleled opportunity to talk to management teams and learn how they’ve adjusted to these new realities. In the past, this event has helped us to uncover profitable ideas for Energy & Income Advisor subscribers, including Enbridge Energy Partners LP (NYSE: EEP), Hi-Crush Partners LP (NYSE: HCLP) and Oiltanking Partners LP (NYSE: OILT)—all of which have rewarded investors with big gains. Our picks from the past two conferences have returned an average of 16.1 percent over the subsequent 12 months, handily beating the Alerian MLP Index’s average return of 2.4 percent over these periods and topping the S&P 500 by more than a percentage point. MLPs must contend with moderating production growth and cash-strapped customers looking to cut costs; against this backdrop, separating the wheat from the chaff will become even more important. We’ll be on the lookout for names that will be able to weather an extended slump in energy prices and the growth stories that will outperform. In our roundup of last year’s conference, we highlighted six MLPs to avoid; all these names have generated negative returns since then, losing an average of 28 percent of their value. 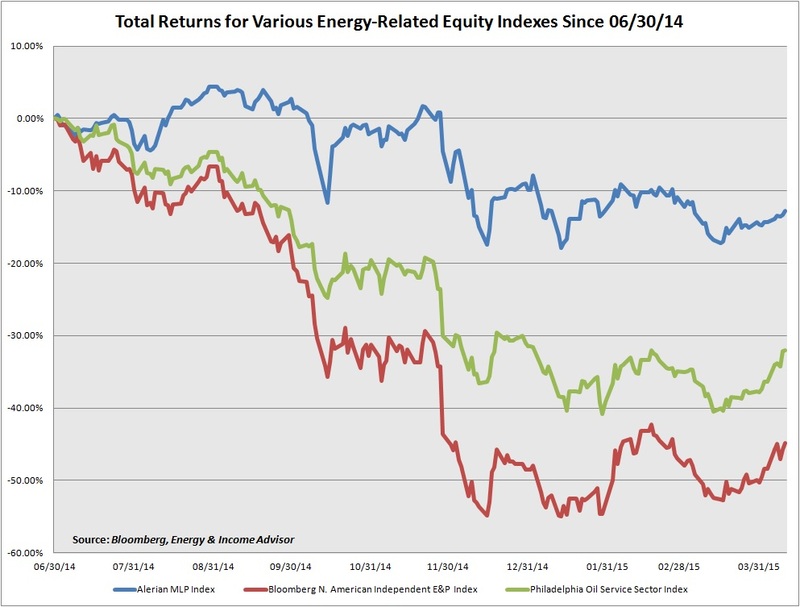 Two of these MLPs cut their distributions by more than 80 percent. This year, the margin for error is razor-thin. Some of the marginal initial public offerings from recent years look especially risky; however, even the best of the best must contend with resetting expectations for slower growth. However, we always keep an open mind—opportunity often shows up where you least expect it. From May 20 to May 22, we’ll make the rounds at the NAPTP’s investor conference. On May 23, Energy & Income Advisor subscribers will receive a written summary and a video discussion of our key takeaways from the conference, any strategy updates and our top picks and pans. Shortly thereafter, Elliott and I will hold our monthly chat with subscribers, an exclusive event where you can ask us any questions you might have about MLPs, energy prices or other stocks. 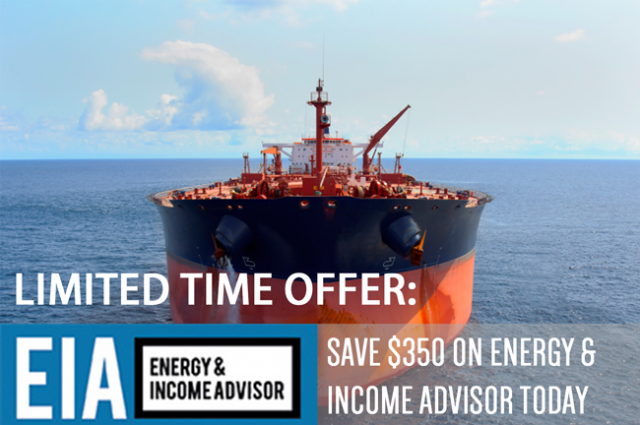 If you haven’t joined Energy & Income Advisor yet, this is your opportunity to save $350 on an annual subscription and ensure access to all our top picks from this year’s MLP investor conference.